The recent inadequate development of tourism in Serbia was conditioned by the poor economic and political situation that affected the state of the nineties of the 20th century. The authors of the paper pointed to the current situation of the separation of tourism in Serbia and the factors that imply its competitive position among the countries of the region. Each of these states was part of the former Yugoslavia together with Serbia, and in that period shared the same destiny of tourism development. 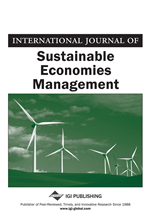 The authors used the available statistical documentation and conducted a desk research to point out the existing estimates of the factors of concreteness that would enable tourism with an adequate strategic policy of product development and placement to reach a higher ranking on the regional and world market. The quantitative assessment of destination competitiveness can be obtained on the basis of data on the annual inflow of tourists, tourism revenue, tourist consumption, number of overnight stays, length of stay. While the qualitative assessment is based on the measurement of the level of satisfaction of tourists, the image and perception of the destination, the quality of facilities and services in tourism, as well as the elements related to the quality of the tourist experience (Pike, 1992; Andrades et al., 2013). The competitive position is, in fact, the performance obtained on the basis of objective statistics, indicating the location of the destination. There are also measurements related to the attractiveness of the destination for visitors. In this context, attractiveness is measured based on the IDA group of indicators based on the assumption that a tourist in the decision-making process connects the different characteristics of the destination with one or more of his beliefs, but in relation to the experience and experience he had during his stay in other destinations. Enright (2004) has proposed the basics of the Competitiveness Model by analyzing eight destinations in the Caribbean.